Enewsletters are a common tool for any business to grow their database and communicate regularly with (potential) customers. As a social media trainer, I am not quite sure where I stand with this right now. On one hand, I think it’s a must for any business, but on the other, I know that I rarely read the many enewsletters I’ve signed up for. Do you? My advice would be to spend some time analysing your goals and resources, and deciding if it’s worth it for you. 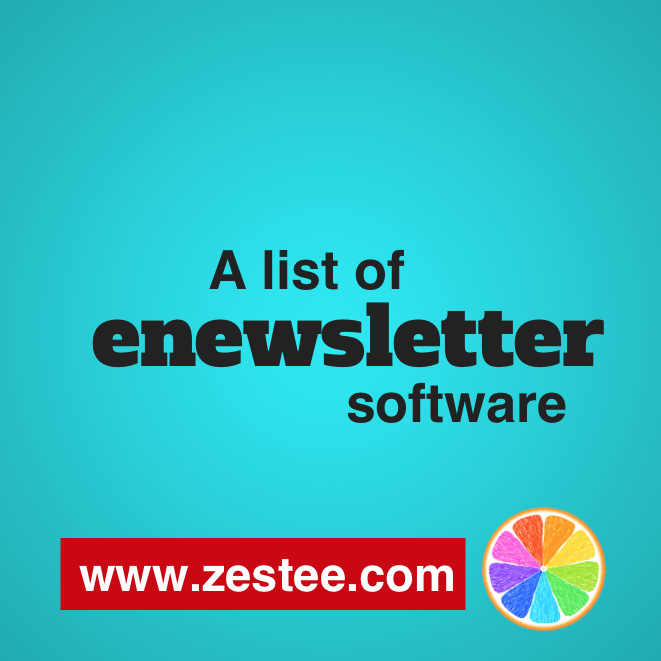 If you already have an enewsletter, which software are you using now? Like many digital terms, there is no real consensus about the exact term to use: this same concept can be called enewsletter platform or tools, or emarketing. This Wikipedia post on email marketing has some useful information, including some details about legal requirements. Mad Mimi: I’ve used this for several years, and really like the clear, clean design. They’ve made a number of changes in recent times, including dropping the number in your database to just 100 for the free option, but this does include the handy drip-feed tool (automated emails that get send out regularly). So if you have just a small group of people you want to keep up to date, it’s ideal, and it’s also still reasonably priced for larger databases. I’ve found their customer service to be awesome. Mail Chimp: I started using this when it was new to the market and wasn’t a fan then, so switched to MadMimi. However I have noticed a lot of positive changes and for more than a year now, have been sending out a weekly enewsletter for www.thehagueonline.com using this email marketing software. If you’re looking for more options, PC Mag gives a useful overview of the Best Email Marketing Services of 2015. Do you use enewsletters or email marketing for your business? I’d love to read your experiences and feedback in the comments below.